and recorded by Matthew Barnhart at Denton’s Echo Lab this past November and December, ‘Rook’ is an extraordinarily original work ; only on a handful of occasions have we heard an album this powerful and so rich in detail, both musically and lyrically. Shearwater’s knack for the epic is already well documented, but with all due respect to their prior efforts, the broad sweep of ‘Rook”s 10 songs is like nothing else you’re likely to experience in 2008. We’ll have more details about ‘Rook’ in the weeks ahead, but in the meantime, Shearwater have confirmed the following US dates in support of Clinic. Wow, that’s very striking artwork (again), well done. Looking forward to seeing how it translates to the record’s packaging. 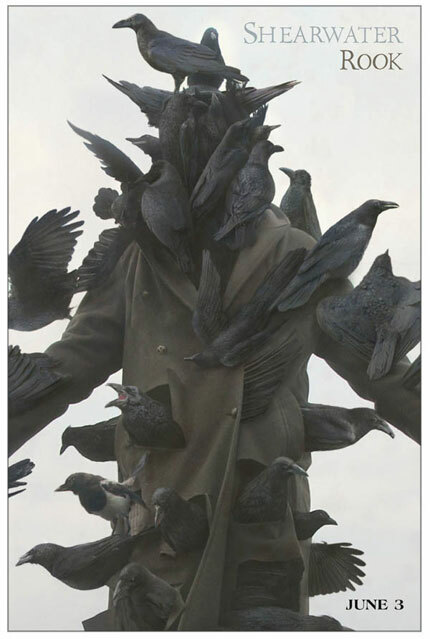 The cover artwork is by Kahn & Selesnick. The inside cover is also by them utilizing some of my images. It is a complete honor to be associated with a Shearwater album. Palo Santo blew me away and we are all salivating for this release. The first great song written about pandemic bird flu. Brilliant work!